"He is widely recognized as an expert in the field of environment learning centers but also for his work with organizational development of non-profits." 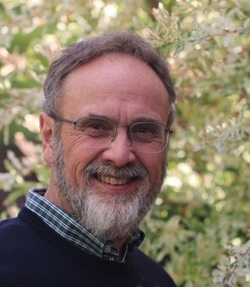 Corky leverages decades of experience to help nonprofits and nature-based organizations succeed through consulting and facilitating projects, individuals and teams. Before starting LeadTeam, for 30 years he was the first Director of Treehaven, a field campus of the College of Natural Resources and 15 years as Professor of Human Dimensions in Natural Resources at the University of Wisconsin-Stevens Point. Corky continues to develop and teach courses and workshops in strategic planning, non-profit management, group process facilitation, leadership and team development. He has facilitated and trained facilitators in strategic planning for professional associations, corporations, nature centers, state agencies and national organizations. Corky’s research, teaching and consulting focuses on leadership and enhancing organizational change through effective individual and group processes. His workshops are known for high activity, involvement and fun. Corky serves on local, national and international boards and is involved in a local service organization. "Corky brings a wealth of experience and knowledge to the table and after sharing trends, facts and figures, he encourages his clients to make a decision that is the best for them; he then supports them as they navigate their way through the process."